Rhythmic activity detected in newly fertilised mouse eggs may provide a novel and non-invasive screening method for identifyingembryos most likely to survive a full-term pregnancy, according to research published in Nature Communications. Researchers at the Universities of Oxford and Cambridge discovered that when a sperm enters an egg the cytoplasm begins to vibrate in a characteristic pattern, which can be used to predict the embryo's survival once implanted into the womb. 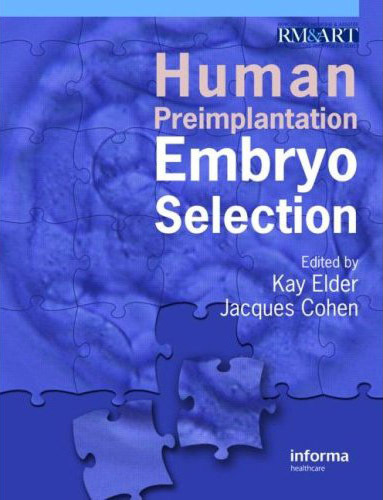 'The pattern of those movements is predictive of whether the embryo will have successful developments throughout the entire pregnancy', said lead author Professor Magdalena Zernicka-Goetz. Not only could this method potentially improve success rates ofIVF if similar results are found in humans, it could also reduce the number of multiple births and other associated risks, as fewer embryos would need to be transferred to begin with. Professor Zernicka-Goetz and her team filmed 71 mouse eggs immediately after fertilisation using rapid time-lapse imaging and specialised analytical techniques, known as particle image velocimetry. This enabled them to visualise and measure the cytoplasmic movements within the egg. They then monitored the development of the embryos in culture over four days, to the blastocyst stage where the egg is ready to transplant into the womb. The embryos that were most successful at producing pregnancies in mice had cytoplasm oscillating at 10-15 nanometres per second, accompanied by waves of movement peaking every 10-30 minutes. The oscillations were found to correspond to calcium influx within the fertilised egg. 'High quality' embryos were almost three times more likely to develop to the time of birth compared to 'lower quality' embryos, based on predictions from early cytoplasm oscillations. Current IVF methods monitor development of embryos for two to three days after fertilisation, before selecting which to implant. This new method could reduce the time frame to only two hours, writes author Dr Anna Ajduk. As similar movements occur in human embryos, these findings should be equally predictive of embryo viability in humans. The invention provides a quantitative method of determining embryo viability which is much more reliable than current qualitative visual inspection. 'Clearly performing the technique is complex and will need to be simplified or automated for use in a busy IVF lab', commented Dr Allan Pacey, an expert in reproductive biology at the University of Sheffield. 'This is the biggest hurdle I anticipate that might prevent more people experimenting with this approach. But I hope they do, as we really need to develop something more technical than the 'watch and wait' approach'. Professor Zernicka-Goetz said she was in discussions with IVF clinics to initiate trials involving human embryos. 'Within a year's time we should know whether such movements are predictive of the successful development of human embryos', she said.